Elevate your bathroom design and function with innovative, stylish bath products designed with you in mind and installed by certified bathroom remodeling contractors in as little as just two days! 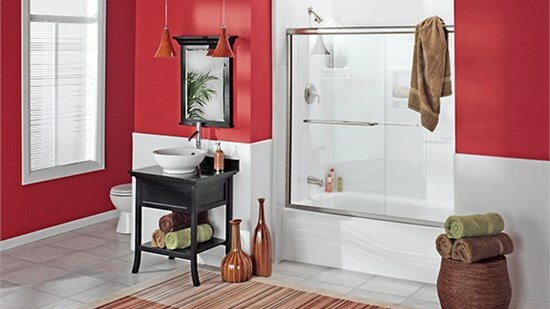 We take bathroom remodeling to the next level with affordable, high-quality products and outstanding workmanship. For over 25 years, our award-winning company has been changing the lives of homeowners with exceptional service and value. Our expert designers and bath remodeling contractors work with you to choose the ideal bathroom features to suit your household’s functional needs and match your unique design style. Remodeling your bathroom has never been easier! Our innovative products are precisely measured and made for your bathroom, with expert installation completed in as little as two days. Daily scrubbing and unpleasant germs are a thing of the past with Luxury Bath’s Microban technology, providing a more hygienic surface with superior resistance to mold, mildew and bacteria! For over 25 years, Luxury Bath has been providing industry-leading customer care, expert bathroom remodeling services and product selection with installation by certified professionals. Quality and innovation are the driving forces behind the products and services we offer. Convert your tub to a walk-in shower or choose the perfect bath products with our vast selection of new showers, replacement tubs, walk-in tubs, whirlpool spas and more – our expert team does it all. From quick Two Day Bath remodels to full bathroom remodeling projects, our experts can make any bathroom a luxurious showpiece! 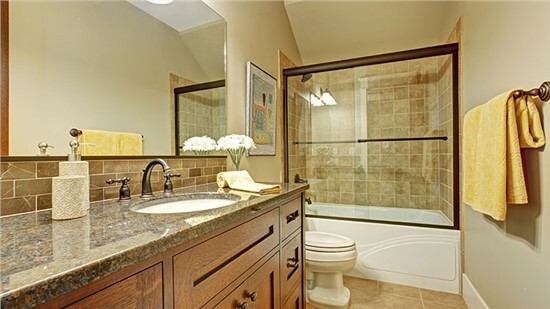 Our professional bathroom remodelers serve homeowners across northwest Texas and southwest Oklahoma from our three showrooms in Wichita Falls, Tyler and Amarillo.